﻿﻿﻿One fine day, I found myself in a heated debate with Friend #1 who was referring to Friend #2's wedding. Friend #1 said, Friend #2's wedding was nice but she didn't quite understand why Friend #2 wore a red pair of shoes. I was intrigued and surprised by Friend #1's reaction because I always thought she was an open-minded person. I didn't realize that when it came to weddings, she had very conservative beliefs. So I probed. She said that a white wedding gown, deserves a white pair of wedding shoes--it's what matches, and it's been the custom ever since. To defend Friend #2, I explained that more and more brides now practice wearing colored pumps underneath their wedding gowns. Friend #1's brows raised, she said "Really? I didn't know that. Is that the fashionable thing to do nowadays? It's too casual!". Then Friend #3 arrives, and joins in the conversation. She's also getting married, and is having a hard time finding the perfect white shoes. I said to her that if she's having a hard time, why not wear colored shoes? She didn't want to. I was again shocked because this Friend #3 also didn't strike me as a "traditional bride"--in fact she was already knocked up that time that she was having a wedding! She said it has always been her dream to wear white shoes with her white gown so she will never ever consider wearing colored pumps. I asked her: "Even if your wedding is already 3 days from now and you are still having a hard time looking for a white pair of shoes?" She said yes. I shrugged, tired of the debate, and just said "Okay, good luck!" Shoes is an addiction of any lady. And I mean ANY. Even if you are a "flipflops kinda gal", you would still have different colors and styles in your collection. Even if you are not the type who would spend on a pair of Louboutins, you would still be scouring for the perfect pair that suits you, regardless of brand or style. Even if it's just your black pair of school shoes when you were in school, it HAD to be the perfect black shoes. So why would people even talk behind your back just because of your red bridal shoes? It's so sad. You should be allowed to wear shoes that you wanna wear in your wedding and indulge in whatever color or type you want without being judged. What if you hate wearing heels and would be more comfortable with ballet flats? It's your wedding and you don't want to be worrying about blistered feet right? My own Bridal Shoe Collection! HOWEVER, do us a favor will you? Wear Chuck Taylors ONLY if that's really who you are--and not because it seems like the trendiest thing to do nowadays. gusto ko nga rin maging best friend si mr.blahnik e. hahaha.Thanks Kai. Those shoes make my hear skip a beat everytime. 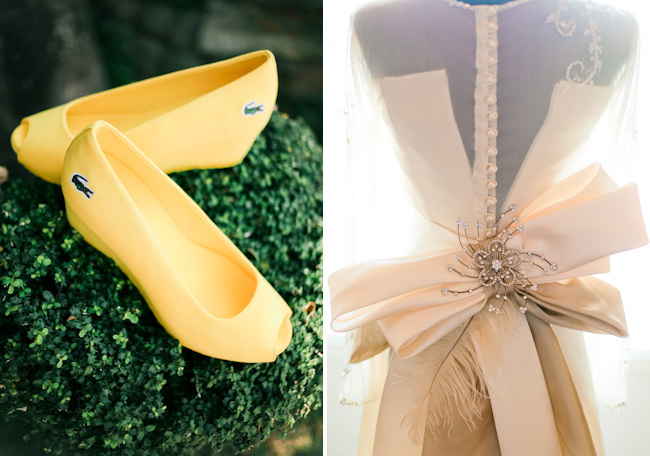 Some of absolutely fabulous wedding shoes are here. 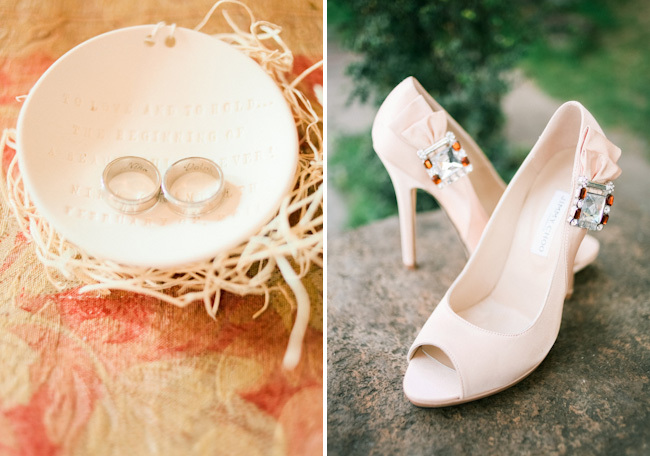 Bride demands beauty and comfort in wedding shoes. a distant cousin got married a few months ago and the then bride wore red shoes because red and white is the color motif of the wedding.